The Thermo Scientific Phenom Pharos desktop scanning electron microscope (SEM) is said to be the first desktop SEM solution that includes a field emission gun (FEG) source to deliver crisp, high-brightness images. The product offers floor model performance on a desktop microscope with loads of added benefits that make it easy to operate for any user. Suitable for a wide range of academic and industrial applications, the device covers material characterisation, metallurgy analysis, forensic investigation, process control, pharmaceutical and industrial research, and more. 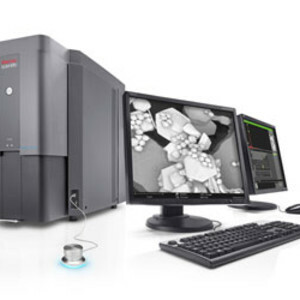 As with every Phenom desktop SEM in the series, the Phenom Pharos maintains the signature functionality for speed and ease of use, providing access to sharp, high-contrast SEM imaging with minimal training. The intuitive user interface includes an optical colour microscope for a ‘never lost’ sample navigation while the venting/loading mechanism is designed to provide the fastest vent/load cycle for high throughput. 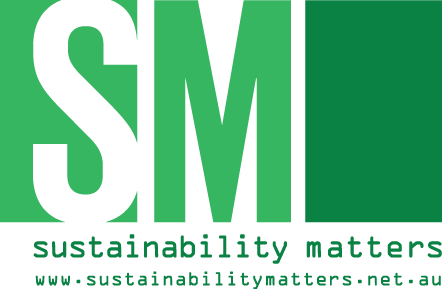 Advanced detectors (BSD and SED) can acquire high-quality images in less than 25 s after inserting the sample into the system, with magnifications of up to one million times and resolutions below 3 nm. In addition, fully integrated X-ray analysis (energy dispersive spectroscopy, EDS) allows users to quickly identify and assess the distribution of elements in a sample. The Phenom Pharos desktop SEM will be on display in Sydney at the 19th International Microscopy Congress (IMC19, 9–14 Sep 2018) and at Western Sydney University, Parramatta (Workshop, 19–20 Sep 2018). 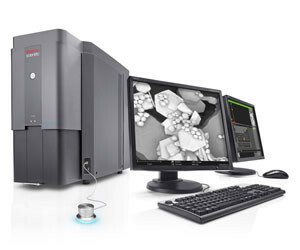 I am interested in Thermo Scientific Phenom Pharos desktop scanning electron microscope (SEM) .